The holidays are swiftly approaching and you don’t have a gift for your marketing team. Your co-workers are nice. Past happy hours have been enjoyable, but who are they outside of work and what do they even like? Karen always goes for a run during her lunch break...so she likes being outside, right? Donny attends all of his kids’ sports games...are sports tickets too much? What is the one thing you all have in common? A career in marketing. No one co-worker is the same, so we compiled a list of gifts for the different types of marketers found in your office space. Life gets so busy and tasks often pile up until everything is overwhelming. A single person’s mood or energy can affect the entire office. This co-worker may get stressed from time to time but an inspirational talk always brightens their day. Help them have constant inspiration on their desk with this affordable gift! Let’s be real...a little alcohol never hurt anyone. Agencies are known for beer Fridays and open bars are definitely a necessity at networking events, but why not class up your stash? This Whiskey Globe is perfect for your adventure-seeking marketer with a big personality and zest for life. With a role in marketing, things are always changing so they’re also bound to be stressful. Marketers are becoming the C-Suite’s most crucial member, thus one of the busiest. This gift can certainly help take the edge off after a busy day. This team member is always capturing the most beautiful and pure moments. Most likely they work in creative or social media because they have a keen sense of fashion (and Instagram followers out the wazoo). Though this gift is a little pricey, it will certainly help them capture the office culture in a fresh style. Sometimes work can be frustrating. Hand this gift to your co-worker to remind them that no amount of stress can scare them from doing a great job! Days can be long, office temperatures can be all over the place, and constant meetings or trade shows can take a toll on the feet. Tell your co-worker to treat themselves! Or maybe your co-worker just needs some time on their own and doesn’t know how to communicate that! Look to your left and look to your right. That’s right. One of your co-workers is a HUGE Nicolas Cage fan. Every office has one. Unleash the cage and gift them this sweet surprise. This gift is also a free giggle every time they wear it on casual Fridays (because...obviously...they will never take it off). This gift is for your sales, business development, or networking connoisseur - the guy/gal known for relationship-building. From scattered to clean, this gift will organize their desk and, quite possibly, their life. Getting an Office-themed gift for someone in your office? How meta. There is a 99.99% someone in your office loves “The Office”- So this gift is a safe bet. Spice up their day and desk by gifting them this simple yet delightful flair! Project management tools help keep everyone on the same page, but there are always nitty gritty details that slip through the cracks. No longer will this be an issue with these humorous sticky notes. No more tripping over cords in search of an outlet. With this gift, your monitor-loving co-worker can plug in as many cords as their heart delights without any trouble! This co-worker loves to take old school notes with a pen and paper. They also love the planet. Give them this snazzy, reusable notebook so that they can help save the environment during every meeting! Marketers often spend countless evenings planning, drafting, and refining projects. Give the gift of life this holiday (in the form of caffeine) with this neat travel mug. 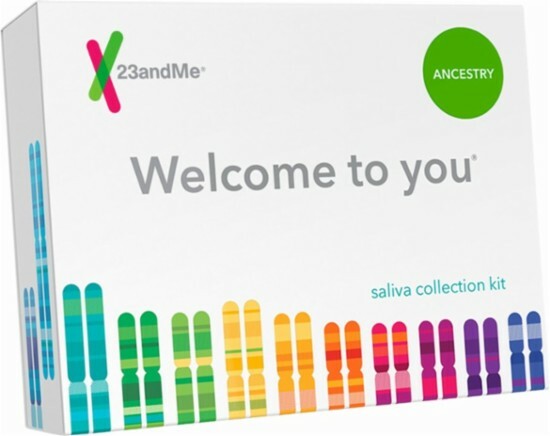 Since marketers are so obsessed with data (and the story data tells), some of your co-workers (perhaps in the data analytics space) would appreciate a 23andMe test. It may also help explain their office quirks! The Challenger Sale is a great book for ANY business person - not just marketers. Or, if you’re looking for a different book to gift this holiday season, here is a list of excellent marketing books to help you brainstorm! Because we’re all just doing our best. So click away, put a smile on Karen’s face, and happy holidays! Share your favorite gifts for marketers in the comments! In 2019, marketers can no longer rely on outdated SEO strategies like keyword stuffing (artificially inflating keyword density), exact match domains, backlinking, or uploading different pages for every keyword variation to increase organic traffic and SERP (search engine results page) ranking. Since there is an influx of new SEO marketing strategies every year, Senior SEO Manager, Doug Cooper, from the SEO experts at Swarm Agency, highlighted the essential search engine tips and tricks to help marketers’ content shine in 2019. If there’s a case study in how to create a comprehensive marketing strategy for a specific generation - that case study is Game of Thrones. Think about it. This premium cable television show - which has over 30 main characters and takes place in an alternate fantasy universe with magic and dragons - executes the driving principles behind UX, authenticity, community building, digital marketing, storytelling, personalization, and more in its millennial-focused marketing strategy. So, what lessons can marketers learn from Game of Thrones? Marketing in a multicultural landscape is inherently difficult. With so many perspectives to consider, brands often miss the mark in marketing campaigns. Besides, offending consumers leads to hefty costs dealing with social media backlash, public relation nightmares, a decrease in followers, and loss of brand credibility and loyalty. How can brand marketers avoid cultural insensitivity in campaign advertising? Over the years, there have been some brand hoax standouts that have certainly gained traction and stopped audiences in their tracks, but how do popular brands like Burger King and Netflix keep up? Which brands consistently wow us, compelling us to click that “share” button? Which brands lost their touch? The marketing industry is overwhelmingly female. To celebrate the women who make up the marketing profession during Women’s History Month, we asked women marketing leaders from Interface, Hiscox USA, Mizuno, and Great Clips Inc. about their personal triumphs, tribulations, and advice about working in the marketing industry. The agency-client relationship is a two-way street that requires constant effort and a deep understanding of the other party. The best agency-client relationships have a healthy commitment to teamwork, communication, and the overall success of a project or marketing initiative. Sometimes it is difficult to see the operating reality of the other partner…That’s why AgencySparks spoke with several agency partners to gather their perspective on what they wish their clients knew. When it comes to the summer season, marketing students look for full-time jobs or internship opportunities...and companies methodically craft their job descriptions with hopes of attracting top talent. What qualities make up a good intern candidate? How does a company simplify the search and interview process? There is so much to consider when looking for an intern prospect…let AgencySparks guide you. Business to Consumer brands (B2C) have always benefited from taking a humanistic approach to marketing, while Business to Business (B2B) brands seem more impersonal, dry, and buttoned up. The spike in automation and behavioral, social, and mobile data, however, has influenced how brands communicate with consumers. Now, the line between the B2B and B2C is beginning to blur.